We’ve cautioned against Small Cap funds for some time. All three small cap style categories (value, growth, and blend) received an Unattractive rating in each quarter end in 2017. In our 4Q17 Style Rankings for ETFs and Mutual Funds report, these three styles rank the lowest of all 12 styles. Due to the scarcity of appealing options, investors must be careful when choosing a Small Cap fund to invest in. Our Robo-Analyst technology helps investors navigate this high-risk style by sifting through the holdings of all 1495 Small Cap ETFs and mutual funds. Through this diligence, we identified a potentially dangerous fund that traditional, backward-looking fund research may overlook. John Hancock Small Company Fund (JCSAX, JCSOX, JCSHX, JCSPX, JCSDX, JCSFX, JCSIX, JCSVX, JCSWX) is one of the Small Cap funds investors should avoid. All nine classes earn a Very Unattractive rating, and JCSAX is the worst of the group. The fund’s poor holdings and high fees diminish the likelihood that the funds will outperform moving forward. John Hancock Small Company Fund is in the Danger Zone this week. The only justification for a mutual fund to charge higher fees than its passively-managed ETF benchmark is “active” management that leads to out-performance. A fund is most likely to outperform if it has higher quality holdings than its benchmark. To make this determination on holdings quality, we leverage our Robo-Analyst technology to drill down to the individual stock level of every fund. 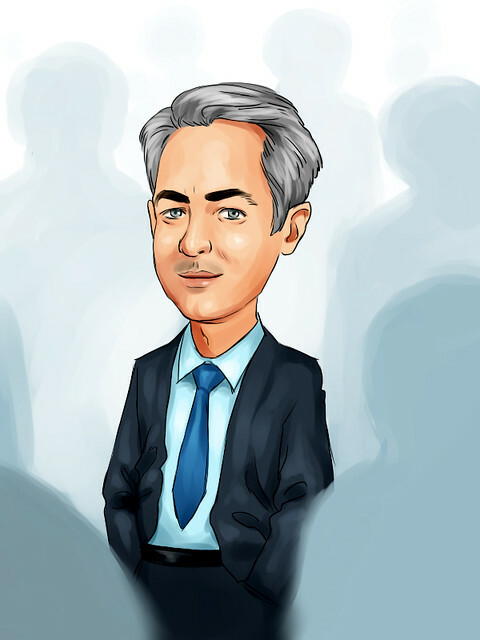 Per Figure 1, John Hancock Small Company Fund allocates only 2% of its assets to Attractive-or-better rated stocks compared to 10% for the benchmark, iShares Russell 2000 ETF (IWM). In addition, exposure to Unattractive-or-worse rated stocks is much higher for JCSAX (58% of assets) than for IWM (45% of assets). Furthermore, six of the mutual fund’s top 10 holdings receive an Unattractive-or-worse rating and make up 10% of its portfolio. None of the top 10 holdings receive an Attractive-or-better rating. Given the unfavorable distribution of Attractive vs. Unattractive allocations relative to the benchmark, John Hancock Small Company Fund appears poorly positioned to capture upside potential while minimizing downside risk. In Figure 2, the details behind our predictive Risk/Reward Fund rating for JCSAX show how its allocation is low quality. The criteria we use to rate the Portfolio Management of funds are the same as for our Stock Ratings, because the performance of a fund’s holdings equals the performance of a fund. The return on invested capital (ROIC) for JCSAX’s holdings is a bottom-quintile 6%, which matches the benchmark IWM. The -3% free cash flow (FCF) yield of JCSAX’s holdings is lower than IWM (-1%) and the S&P 500 (2%). The price to economic book value (PEBV) ratio for IWM is 2.9. Meanwhile, the PEBV ratio for JCSAX is 3.0. This ratio means the market expects JCSAX profits to grow at a higher rate than those held by the benchmark. Lastly, our discounted cash flow analysis of fund holdings reveals a market implied growth appreciation period (GAP) of 50 years for JCSAX compared to 42 years for IWM. In other words, companies held by JCSAX have to grow economic earnings for eight years longer than those in the benchmark to justify their current stock prices. This expectation seems even more unlikely given that JCSAX’s holdings not more profitable than IWM, as measured by ROIC. Ultimately, the high profit growth expectations baked into the valuations of stocks held by JCSAX lowers the upside potential and makes outperformance less likely. At 4.16%, JCSAX’s total annual costs (TAC) are higher than 96% of Small Cap Blend style funds and 98% of all funds under coverage. For comparison, the average TAC of all Small Cap mutual funds under coverage is 2.07%, the weighted average is 1.10%, and the benchmark ETF (IWM) has total annual costs of 0.22%. Per Figure 3, John Hancock Small Company Fund’s expense ratios understate the true costs of investing in this fund. Our TAC metric accounts for more than just expense ratios. We take into account the impact of front-end loads, back-end loads, redemption fees, and transaction costs. Transaction costs add 63 basis points to the TAC based on annual portfolio turnover of 123%. JCSAX must outperform by an average of 3.94% annually. JCSOX must outperform by an average of 2.43% annually. JCSHX must outperform by an average of 2.31% annually. JCSPX must outperform by an average of 2.14% annually. JCSDX must outperform by an average of 1.90% annually. JCSFX must outperform by an average of 1.86% annually. JCSIX must outperform by an average of 1.66% annually. JCSVX must outperform by an average of 1.63% annually. JCSWX must outperform by an average of 1.58% annually. An in-depth analysis of JCSAX’s TAC is on page 2 here. Year-to-date, JCSAX is up 10% while IWM is up 12% and the S&P 500 is up 17%. Given that 58% of assets are allocated to stocks with Unattractive-or-worse ratings, the recent price underperformance looks likely to continue. Our ETF & mutual fund ratings provide forward looking diligence by analyzing the risk/reward of the holdings of every fund. This unique approach to mutual fund analysis shows that investors must be careful when investing in funds. Rather than putting money into JCSAX, investors would be better suited with one of the Small Cap Blend funds that receive an Attractive-or-better rating. Each quarter we rank the 11 sectors in our Sector Ratings for ETF & Mutual Funds and the 12 investment styles in our Style Ratings For ETFs & Mutual Funds report. This analysis allows us to find funds that investors using traditional fund research may view as quality investments while deeper analysis reveals otherwise, such as John Hancock Small Company Fund. This article originally published on December 11, 2017.